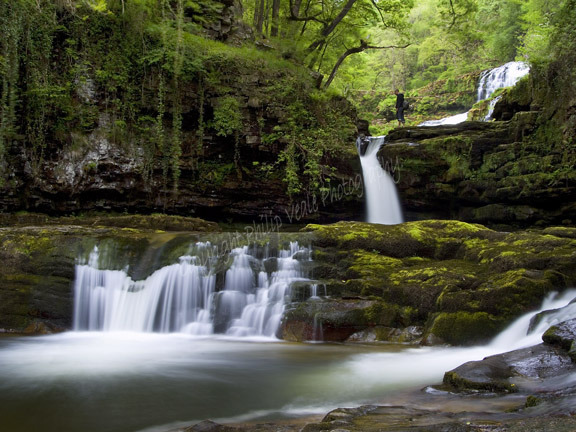 Philip Veale Photography: Sgwd Isaf Clun-gwyn in Spring. Sgwd Isaf Clun-gwyn in Spring. Spring at Sgwd Isaf Clun-gwyn and a lone walker considers if he should jump over the river or walk the long way round.